What is Equilibrium Moisture Content, and Why is it Important? In many different industries that involve the use of wood or other hygroscopic materials, you might hear the term “EMC” mentioned from time to time. While industry veterans are intimately familiar with this term, to those who are new to the woodworking, flooring, or restoration industries, this term might be unfamiliar. So, what is EMC, and why is it important to anyone who works with wood on a regular basis? The term “EMC” is an acronym for Equilibrium Moisture Content. The term is often used in relation to "hygroscopic" materials, such as wood. The term hygroscopic refers to a material that absorbs moisture from or releases moisture into the atmosphere until it achieves a balance with its surroundings. 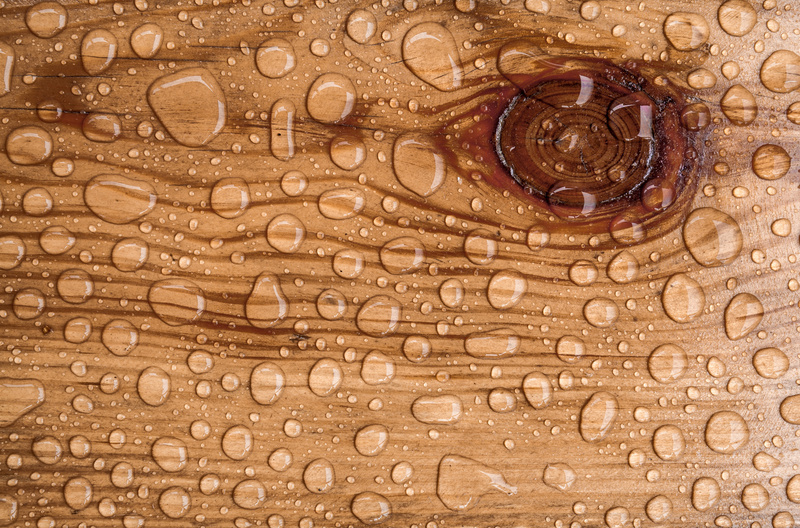 For the woodworking industry, Equilibrium Moisture Content is defined as the point where wood stops absorbing moisture from or releasing moisture into the surrounding air. At this point, the material is said to have reached equilibrium with the atmosphere. So, why is EMC important to woodworkers, flooring contractors, and restoration specialists? For anyone who works with wood products on a regular basis, there are a couple of reasons why it is important to know the point at which wood will reach its EMC, which is influenced by the average moisture content of the region where the wood will be used. First, as wood absorbs or lets off moisture, it will expand or contract. 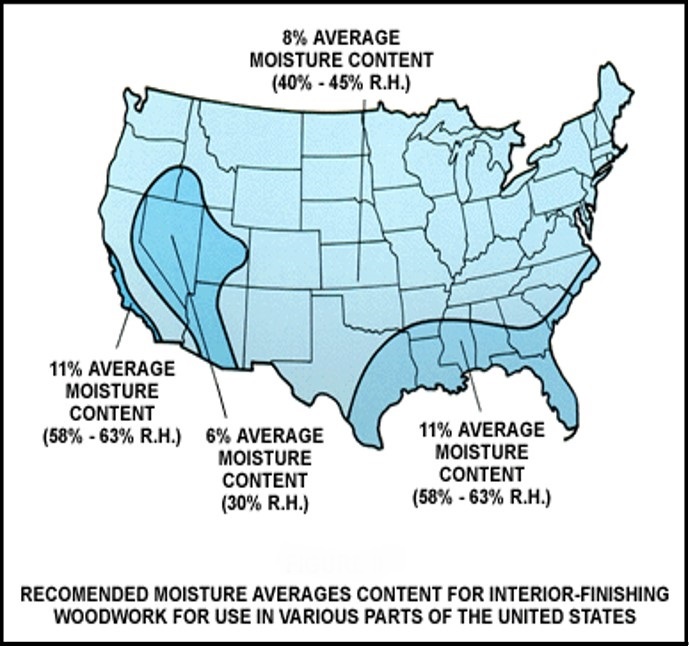 The more moisture that is absorbed or released, the more severe the expansion/contraction of the wood product will be. For example, say that you were to install a set of wooden flooring planks at a jobsite where the average moisture content was 11%, indicating a humid environment. However, the planks were originally acclimated to a region with 6% average moisture content, indicating a drier environment. When exposed to the “wet” environment, the wood planks will start to absorb moisture from the air, expanding slightly. This can cause installed wood planks to start cupping or warping as their expanding mass pushes against the other planks—causing damage to the flooring and ruining its appearance. So, how can you check the EMC of wood? The best way is to repeatedly check the %MC of wood several times over the course of a few days as it sits in the installation environment. Using a wood moisture meter, take a moisture content reading of the wood every few hours until the %MC reading stops changing. It can take a few days for wood to fully acclimate to a given environment, depending on the original moisture content of the wood, the temperature of the new environment, and the relative humidity of the area. Generally speaking, the more significant the difference between the moisture content of the wood and the EMC point of the wood, the longer it will take to acclimate fully. Now, you may be wondering how you can determine the average moisture content of an area. If you take a look at the map of the U.S. here, you can see that most of the U.S. has an 8% average moisture content, while some coastal areas have an 11% average moisture content, and drier desert areas stay nearer 6%. While this gives you a general idea of what to expect, it may be necessary to get more detailed information by taking an RH measurement of the area where you’re installing wood. To get a relative humidity (RH) reading, you’ll need a thermo-hygrometer that can measure the temperature and humidity conditions of your work site over a large area. The RH reading you get from your hygrometer can help you get an idea of what the EMC of your wood products at the site should be. For example, if your RH reading is between 58 and 63% RH, then you’re operating in an area with about 11% average moisture content. Detailed moisture information such as RH and EMC helps you make more informed decisions for woodworking, flooring installation, and restoration so you can avoid costly errors.